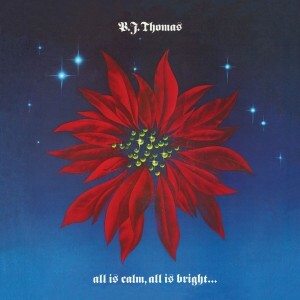 TWO LONG OUT OF PRINT MASTERWORK ALBUMS NOW ON ONE IMPECCABLY MASTERED CD "ALL IS CALM, ALL IS BRIGHT" & "LOVE SHINES"
Throughout the seventies and beyond, he recorded many successful gospel albums and country albums which scored him a whole new audience which truly continues to this day. Featuring a treasure trove of holiday heartwarming Christmas classics like "Away In A Manger" "Silent Night" & "O' Come All Ye Faithful", along with spirit-filled country flavored gospel favorites "Love Shines" "Pray For Me" & "He's Coming Back (In A Blaze Of Glory)", this newly remastered B.J. Thomas collection truly represents some of his finest works during his long tenure with Sony Music. To enhance your listening enjoyment, we’ve also included all the original Lp artwork not seen in years, as well as new liner notes from our friend Dan Schaarschmidt.